How Hard Is the NCLEX-RN? After all the time and energy you’ve dedicated to nursing school, it would be surprising if you weren’t wondering just how hard the NCLEX-RN is. It isn’t designed as an easy test, that’s for sure! But, that doesn’t mean that all students will find it to be a hard exam. I think the more important question to ask is, how can I best prepare for success on the NCLEX-RN? Take just a minute and think about the profession of nursing. Did you know that nurses consistently rank among the most trusted professions by the public? What’s this have to do with a hard test? Well, the purpose of the NCLEX-RN is to make sure that new, entry level nurses are competent to provide safe nursing care. That’s a pretty important goal. The NCLEX-RN is made to guarantee a degree of safety to the public. Nurses provide care in some of the most intimate and vulnerable times of a person’s life. Rigorous standards for education and practice set nursing apart as a profession and provide the public with the trust that all nurses have been held to the same high standards. Nursing is a big profession. The Health Resources Services Administration reports that 3.1 million nurses are currently licensed in the U.S. All these nurses have had to prepare for and pass the NCLEX. To you, that means that this not an impossible feat. It may not be easy but there are strategies to help you study and be successful. Nursing school has given you a great foundation for NCLEX success. All the things you have learned day in and day out in your nursing program has built a wide range of knowledge that will help you provide safe nursing care. But, you aren’t going to be asked to simply recall information on the NCLEX. You will be asked questions that require you to use this knowledge to analyze patient situations and complex information as a way to demonstrate your ability to meet the competency standards of a new, entry level nurse. 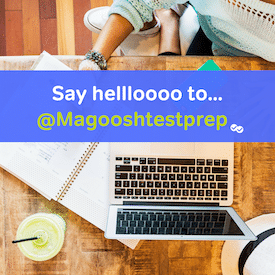 Being familiar with what you will be tested on and how the test works will go a long way in helping you prepare. One of the unique things about NCLEX is the use of Computer Adaptive Testing. This means that the test is tailored measure your ability level. The computer will use your answer from a previous question to adjust the difficulty of the next question to get an assessment of your true ability. The computer needs to be certain within a 95% confidence interval that you can answer medium difficulty questions right at least 50% of the time. In other words, the questions might seem difficult because the computer is aiming to give you questions that you have a 50% chance of getting right so it can determine your score. Not everyone will feel that the NCLEX-RN is hard but everyone needs a plan for success. My recommended plan for being test-ready is to begin by reviewing the test plan. Then, I would figure out how I want to study. No matter how you choose to prepare, with a formal NCLEX review class or on your own, practice NCLEX-style questions. The more familiar you are with how the questions are asked, the better chance you have of answering correctly. Use all the resources you can to prepare for success and believe in yourself. The NCLEX-RN is designed to make sure that new nurses meet the high standards of a trusted profession. The test is structured in a way that makes the question difficulty adjustable depending on your performance on earlier questions. This approach is used to measure your true abilities and provide reasonable certainty that you can provide safe nursing care. Instead of worrying about how hard the exam might seem to you, the better approach is to find out as much as you can about the test and how to prepare yourself for success. Does Your NCLEX-RN Score Really Matter?